UC Browser , a very famous name in the filed of Mobile browse app specially for Java and Symbian platform. It is more popular due to it’s download manager and people loved it to download a large file on Mobile. Recently UCWeb Inc., maker of UC Browser launched their browser apps on Windows 8 platform in name of UC BrowserHD. I don’t know why they add the “HD” in the name. After the launch of UC BrowserHD it become the first Windows 8 Metro browser third party app . There are many apps in Windows 8 store but this is the only browser app after Internet Explorer. 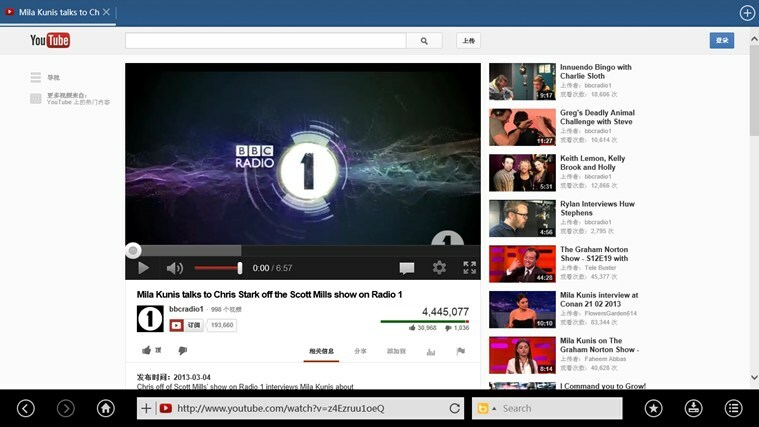 UC Browser is a cool Windows 8 Metro apps to surf internet. So if you are excited to experience internet surfing or opening webpage in a Metro UI (User Interface) then UC Browser is a great apps to browser internet.